A wing-like arch - available in stainless steel or glass - is the defining mark of these airy, Deco-inspired hoods. 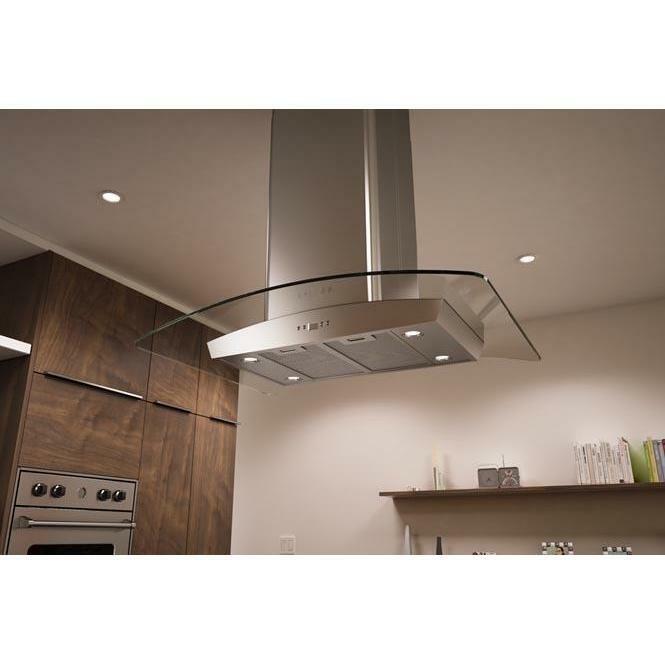 The stainless steel option provides a durable, minimalist touch, while the glass canopy option lets natural light sift to the work surface below. 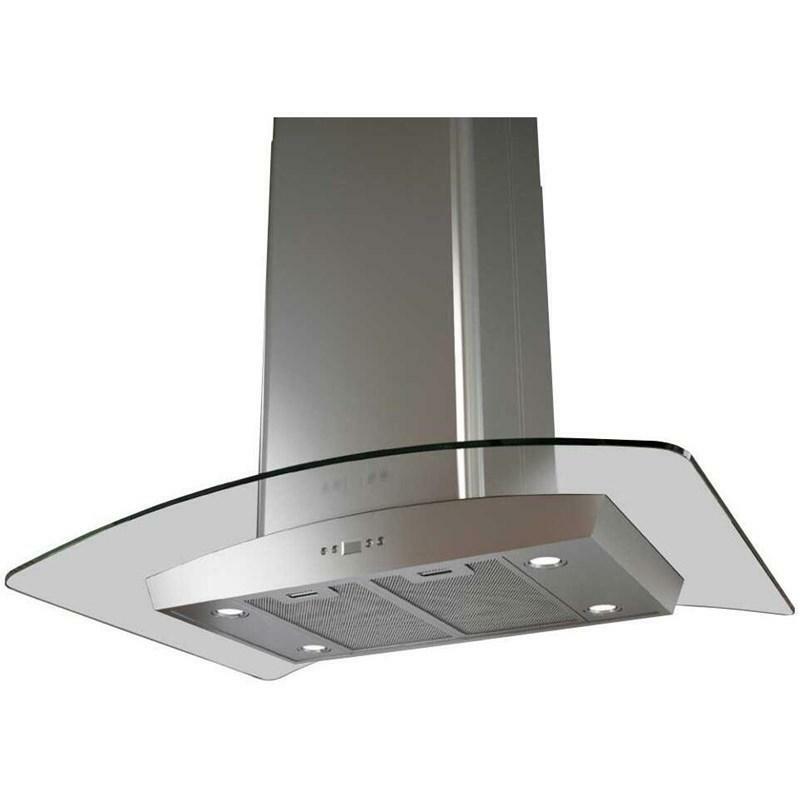 Either way, expect uncompromising style and engineering - like an innovative quick-lock mounting system that ensures one of the easiest island hood installations on the market. And an optional recirculating kit that makes ductless installations a snap.